Spring is in the air! Here in North Carolina, the daffodils are in full bloom. Although it was hard to get out of bed in the darkness this morning, it's wonderful to have long, light evenings again. I'm ready now to add a little spring to my decor. I wanted a bird's nest for the lamp table on my front porch, so I made one. It's so simple and so inexpensive! I started with a couple of items from the dollar store: a coconut planter liner and a bag of loose moss. I used a small bowl as a form. I simply turned the bowl upside down my work surface, tore off a hunk of the coconut liner, and shaped the liner around the inverted bowl. The coconut liner material sticks together easily. You'd never know there was a bowl under there, would you? Then I shaped and formed the nest a bit more, trimmed off some of the excess, and added some moss to make the nest look a bit more natural. A couple of robin's eggs completed the project. Making both these nests took me less than 10 minutes. I reckon I can make at least half a dozen nests from one coconut liner and one bag of moss. That would be 33 cents per nest! I think I'll make several to decorate Easter lunch tables at church. For now, I like the way my nest adds a bit of spring to the front porch. What do you think? 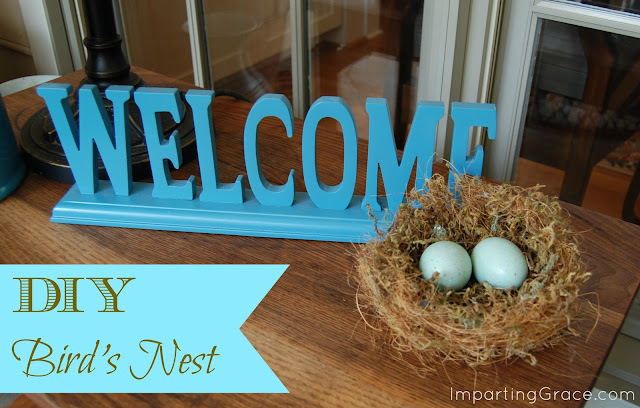 Could you use a bird's nest in your spring decor? You're right Richella, this is a great looking nest and the best part is the price. I need to make some for my Easter table, thanks for sharing. Super cute Richella!! I love this! Hi there, I just pulled out two nests with my Easter decorations and I have two different ones downstairs in the basement. I love nests in the spring or early summer. Great project-thanks for sharing. Great idea, Richella! I've made nests before (or tried) using just the moss, and that is kind of messy and fragile. I really like the idea of the coconut liner. So cute! I made a bunch of small nests a couple of years ago to use on my own Easter table. So easy and a nice touch to the table. I've noticed that birds, bird nests, things w/ moss and topiaries are "hot" this Spring! Your nest looks like a bird made it. I never would have guessed that you used a coconut liner. What a great idea! You are brilliant! Love these and I think even I could make one:) I am not as crafty as you are. When you say dollar store do you mean Dollar General, Family Dollar or Dollar Tree or somewhere else?? Thanks for info and for always sharing ideas. Great idea and tutorial! I have the moss now I have to find the coconut liner. Thanks for mentioning you may use the nests for your church luncheon tables - I needed something for that too and this might be perfect! VERY realistic! I am a huge fan of bird decor so I need to get busy making nests! Great tutorial. Hope you can stop by the enchanted oven. 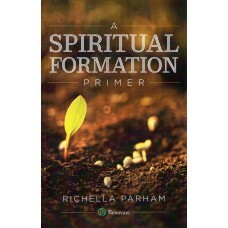 Great Richella and so easy too! I love the darling egg nest! Thank you for the idea and tutorial, sweetie. Have a good week. That is just darling! I will definitely be making one :) Pinning this as well! Have a great day! I love, love this idea! How clever! Thank you for sharing it. Absolutely LOVE this idea! You are soooo creative! Thank you for sharing with us! I love your bird's nest. Adorable! What a lovely front porch you have! I love this idea! I'm planning a trip to the dollar store this weekend and these items will definitely make it into my cart. :) I love bird nests and can't wait to make my own. I love this! I would have never thought that such an adorable wreath could be made from dollar store supplies. Looks like I'll be making a trip later! Brilliant! I found you from a post you did aging terra cotta pots! Just visiting again and had to tell you I love your precious bird nests! So cute and thrifty too! I must try this! Just love it. So easy and cheap! Love this! So smart of you to figure out how to do this so economically. They look great! I'd love to have you link to Seasonal Sundays next week!